Invasive Plant Patrollers start out at the Lake Stewards of Maine’s Introductory Invasive Plant Patrol training workshops. Below are protocols and procedures used by Invasive Plant Patrol monitors. The IPP Certification Program helps our volunteers stay current regarding protocols and best practices, and maintains a high level of quality assurance for the data gathered. 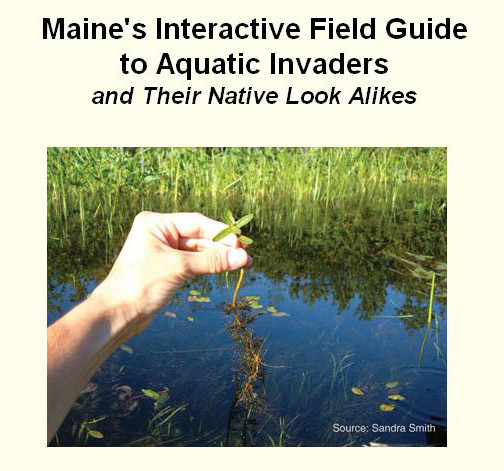 Maps are an essential part of an effective invasive aquatic plant survey, and proper mapping procedures can provide a wealth of information about survey results. Click here for mapping resources. Looking for your QA Certification # or Lake MIDAS#? How about your lake report or depth maps? Check out your individual Lake Page. You’ll find information about your lake, including water quality data, maps, volunteer lists, past plant surveys and a link to local weather. Notice: Do Not Print Field Sheets on Inkjet Printers. There is a good chance your forms will get wet and inkjet printing runs when wet. Please use a laser printer or contact the LSM office and we will gladly mail you extra data forms. 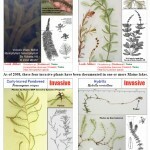 New Initiatives for Invasive Plant Patrollers. 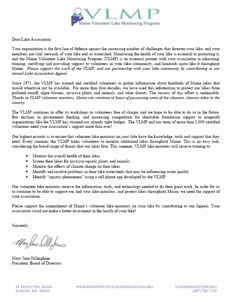 Volunteers – Please consider making this appeal letter available to your lake association. A contribution from your association helps the LSM to continue to provide you with training, technical support and equipment.